Forward-looking: Do you get bored while riding in the back seat of a car? While smartphones and built-in TVs can alleviate the problem, a more innovative solution was on show at CES courtesy of Audi: virtual reality. The system, announced earlier this week at the Las Vegas convention, was developed by subsidiary Audi Electronics Venture and is licensed to spinoff company Holoride. Essentially, it provides a VR experience that visually matches the movements of a vehicle. "The idea is to give people something interesting to do when they're riding as a passenger in a car," says Audi head of digital business Nils Wollny. "There are a lot of passengers traveling in the back seat who have nothing to do," he continued, "In most cases, transit time feels like wasted time." Audi showed off the technology using an Oculus Rift and a game called “Rocket’s Rescue Run,” which was developed by Disney Games and Interactive Experience. When the e-tron electric SUV demo vehicle brakes and moves around, the digital spaceship mimics its movements as it flies through an asteroid field. 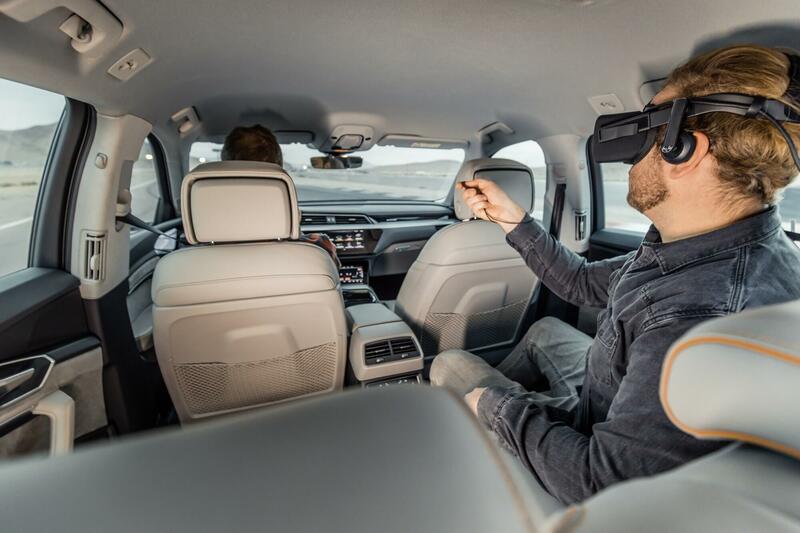 With some people experiencing feelings of nausea when using VR, the idea of strapping on a headset in the back of a moving vehicle might sound a bit vomit-inducing, but Audi said this sensation is avoided by matching the car’s movements. As you can see in the video, the system isn’t just designed for games. Users can have their journeys altered through virtual reality overlays, including a trip across a prehistoric landscape.